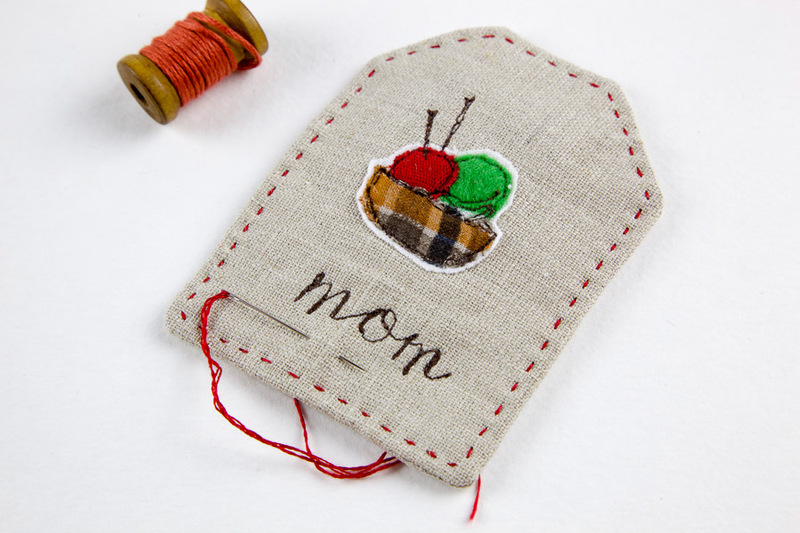 I would like to share my Christmas tag idea with you today. I made a hard board template to make multiple tags. You can never have enough tags, you know. Cut out red and green circle which looks like yarns. Add basket too. 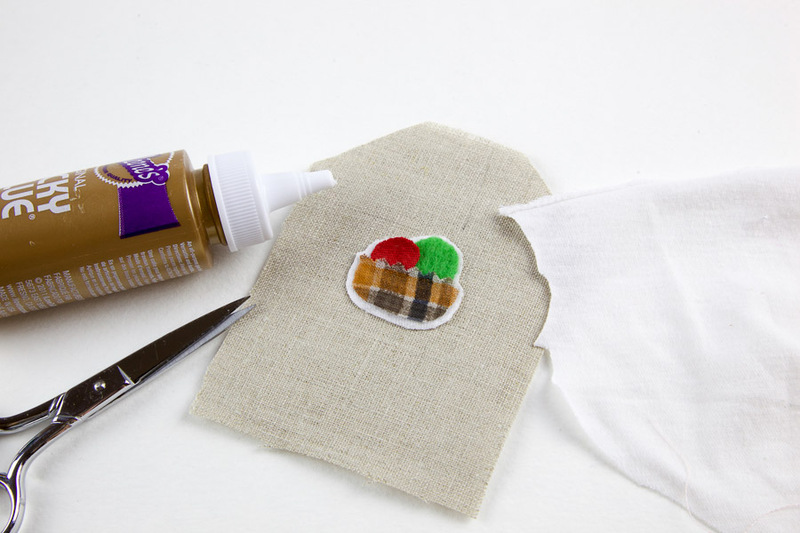 Glue lightly on T-shirt stash with school glue or Tacky glue. 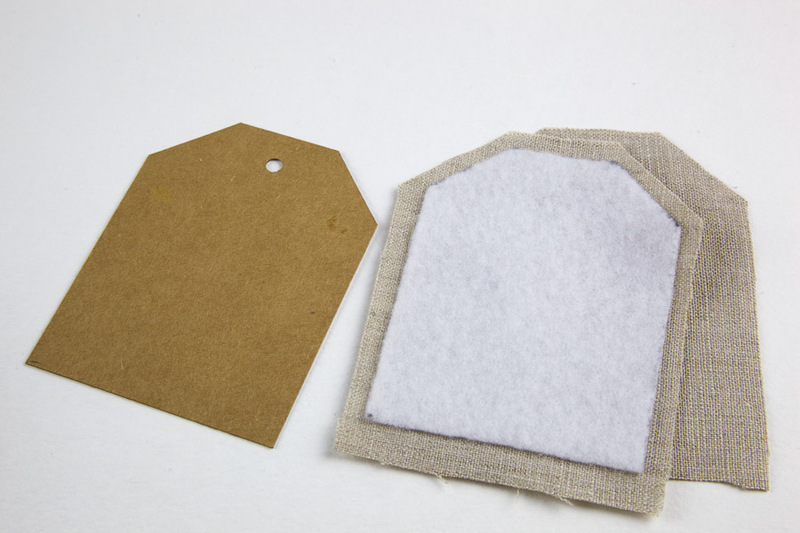 Glue on the tag shape linen. 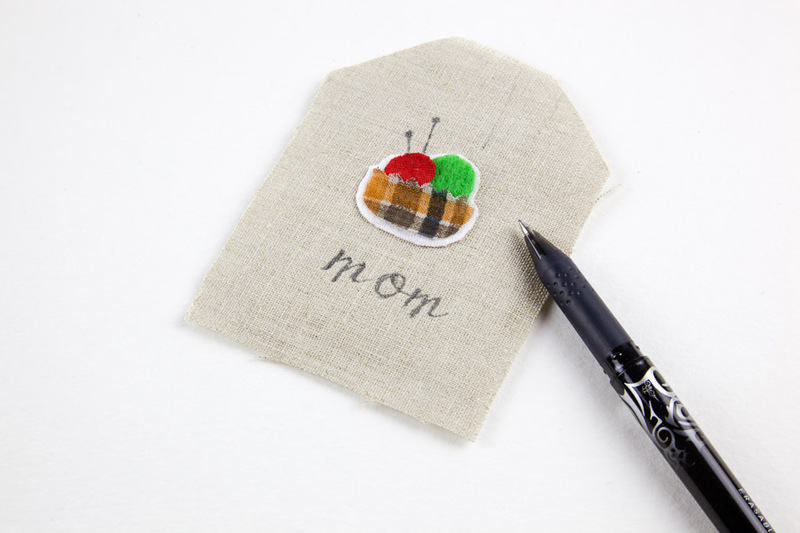 Write “mom” or any message you like to embroidery with erasable pen. 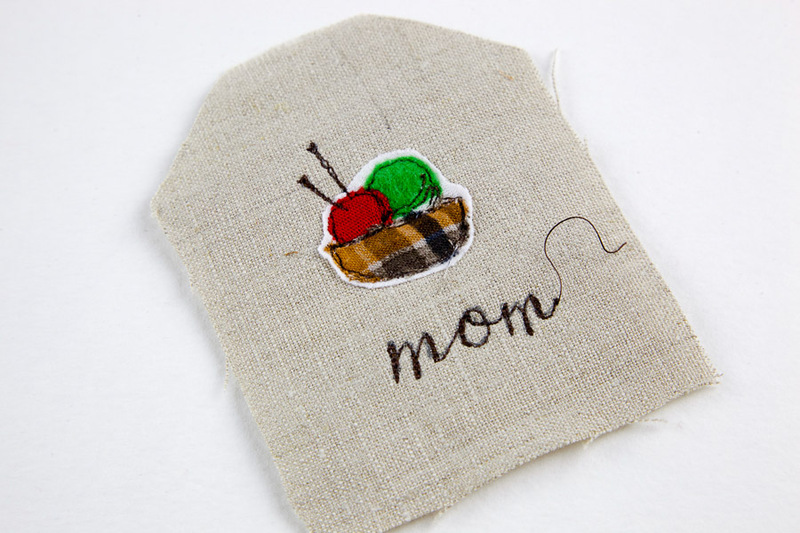 Stitch with sewing machine or by hand. 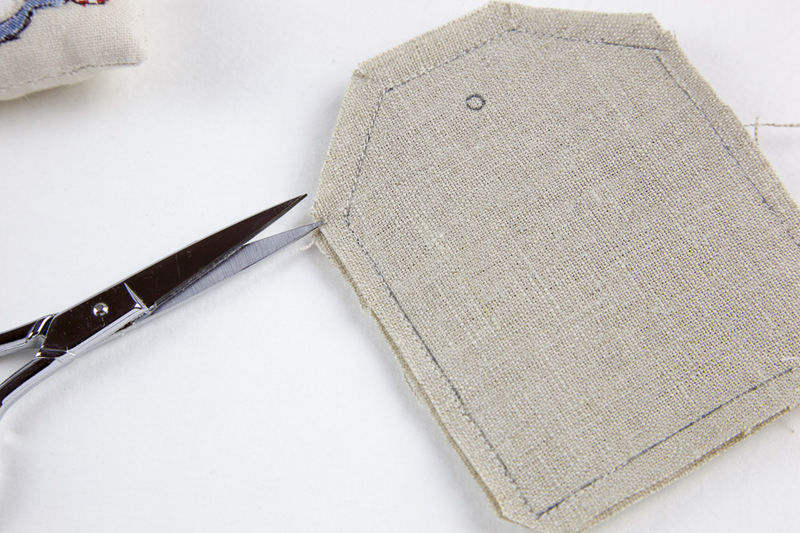 Cover the other piece on top of the drawing and sew all the way leaving a hole to reverse. Don’t forget to cut every folding point. Reverse right side out and hand stitch the hole. 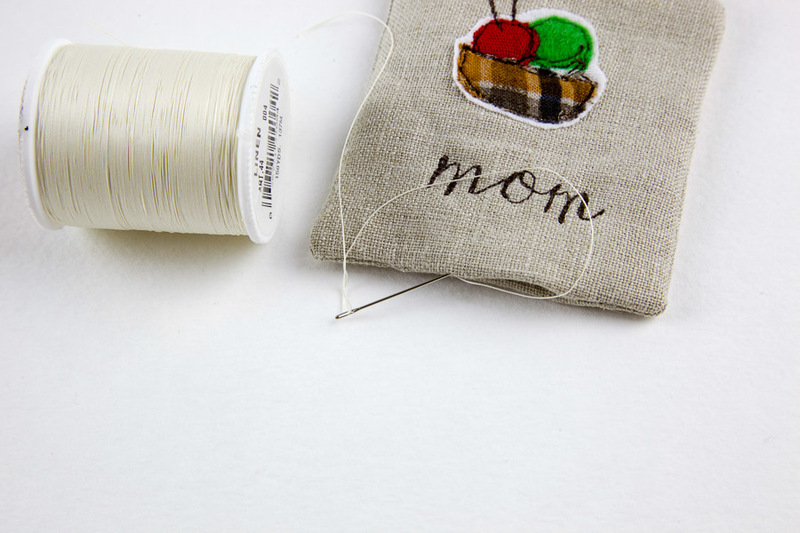 It’s optional but I recommend to hand stitch to add more detail. I added another T-shirts circle where the whole goes. It’s optional. You don’t need to use T-shirt fabric but I personally like the way it looks. 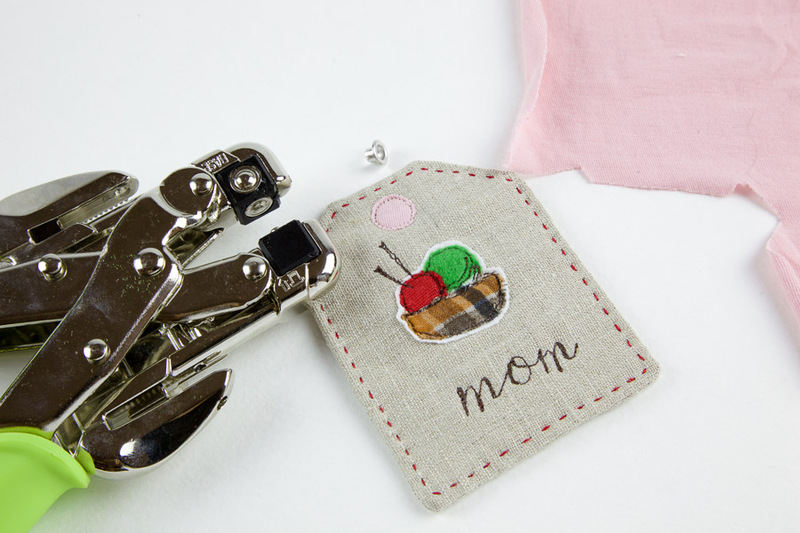 This is a lovely gift idea! 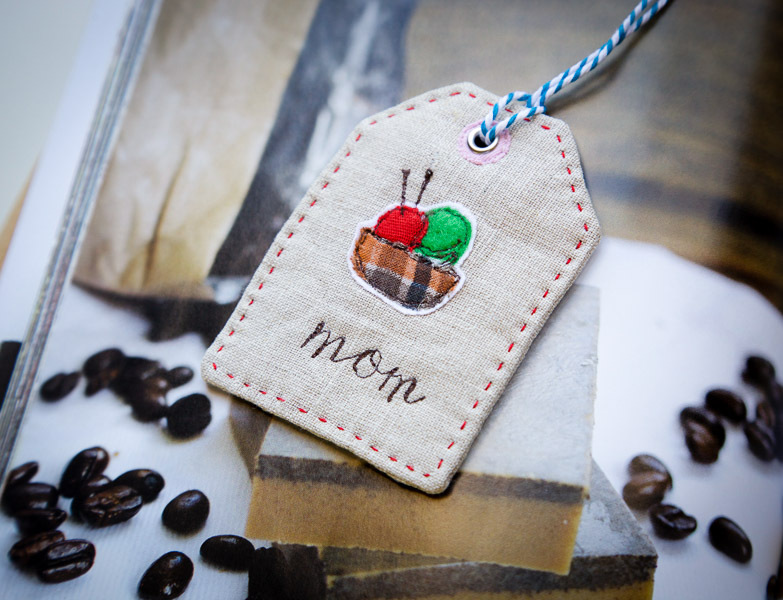 Lovely tag and you’re so right that it would be gift by itself. 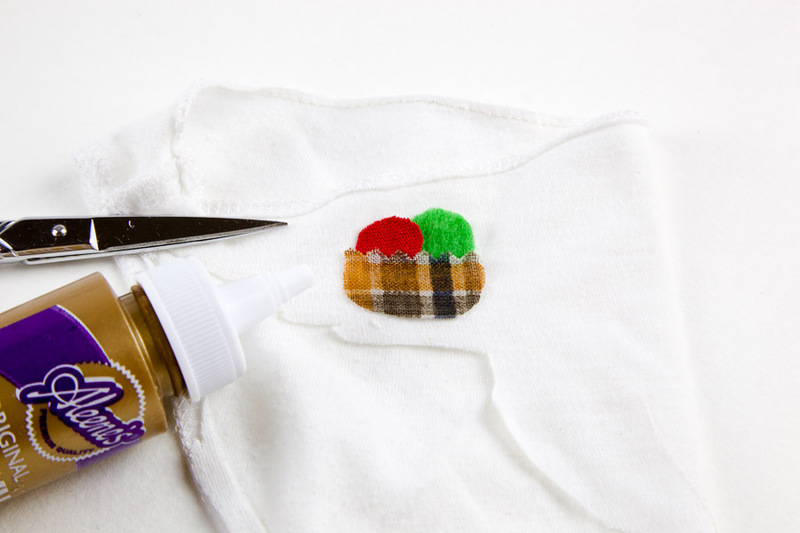 I am new to sewing and was intimidated by all the Christmas projects available. This tutorial is very helpful! I was able to make tags for all my family’s gifts and they thought it was so fun. Thank you.